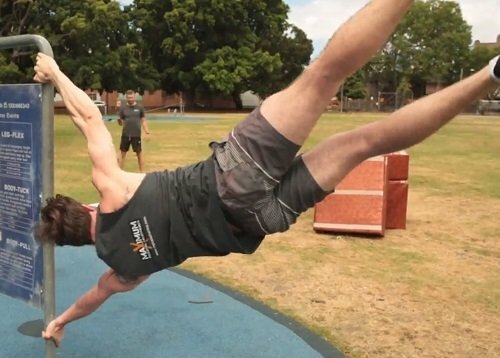 Our calisthenics skills program will teach you all the fun moves that calisthenics is famous for, such as free-standing handstands, human flag and muscle-ups. At MP Calisthenics we split the program into two, floor skills and bar skills. 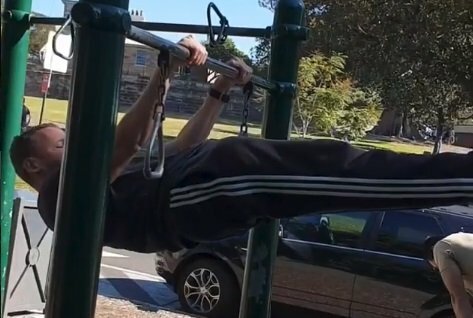 If you want to learn some fun new calisthenics skills, then you can either attend one of our Sydney calisthenics classes, personal training or learn online. A solid base of calisthenics fundamentals horizontal movement patterns should be under your belt before working on hand-balancing. Hand-balancing covers all the different ways of balancing on your hands, from a crow stand, through to a freestanding handstand. A solid base of calisthenics fundamentals vertical movement patterns should be under your belt before working on the bar skills. At a minimum we recommend 5 strict pull-ups, preferably 10 if you want to nail a muscle-up. At MP Calisthenics, we split the bar skills into 2 separate categories, these are transfers and skills. A transfer is a movement that you do to get from one part of a bar to another, or from one bar to another. For example, if you’re hanging underneath the bar but want to get on top of the bar, you can do a muscle-up or a pull-over; both of these are under-the-bar to over-the-bar transfers. A unilateral skill is a movement or hold that you perform on the bar that doesn’t change your position on the bar. For example, a front lever starts and finishes under the bar, a planche on the bar starts and finishes over the bar. How long will it take me to unlock a specific skill? That depends on a number of factors including your current strength level, how consistently you can train and how quickly you pick up new skills. For example we have taught many people who have got the muscle-up on their first go after doing our drills, on the other hand we’ve progressed people who couldn’t do a chin-up when they started, to doing a muscle-up over several months. What skills do you teach? What skills do you want to learn? If you have a specific skill in mind, the odds are we will have already taught it to someone else, and if not, our experienced coaches can break down the movement into progressions and teach you from there. The only limit we place is whether we can keep it safe or not, for example we won’t teach you to backflip without the appropriate safety mats in place.